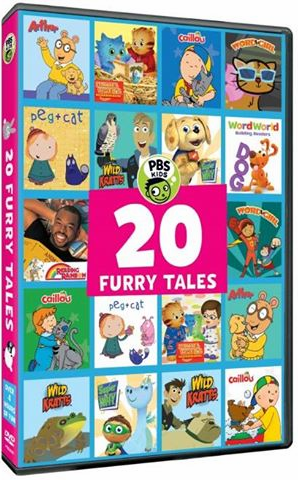 20 Furry Tales is a compilation of different PBS Kids shows, all of which feature animals of some kind. The DVD includes approximately four hours of cartoons and is available exclusively at Walmart Stores for $6.99. As with all PBS shows, your child won’t just have fun but he or she will learn something too whether it’s words with WordWorld and WordGirl, letters with Super Why or math with Peg + Cat. 1 episode of Super Why! You have the choice of playing all or choosing which episode you want to see. The contents is separated by show and then by episode so you can watch exactly the one you want to see. This DVD is perfect for your little animal lover. I suggest ages 4-8.